I love this picture. 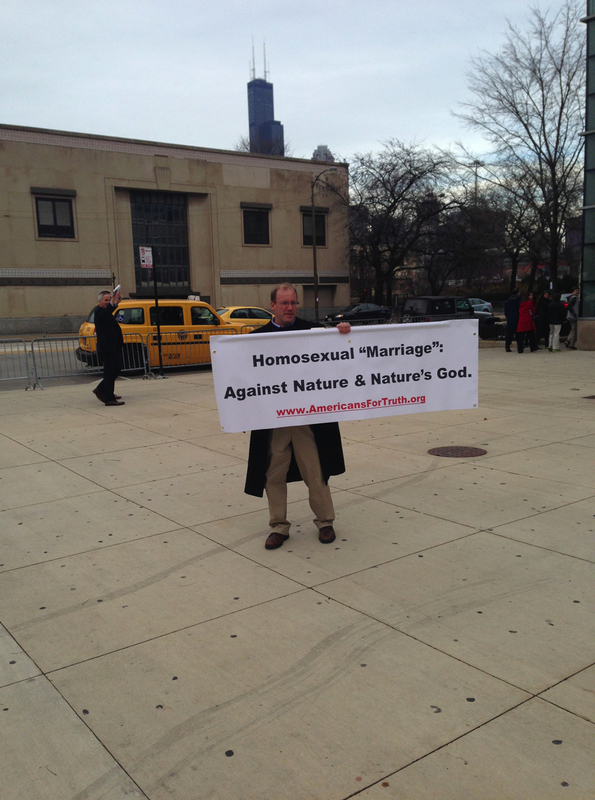 While the rest were inside witnessing the signature of the Illinois Marriage Equality Bill there was One lone bigot – who is left behind. It’s like the last guy to realize the war is over, the castaway who’s been on an island for fifty years.